Sophsterlicious • UK Blog: Soap & Glory 'Long Distance Shimmer'. Hey everyone. Today I wanna talk about this lovely little gem, The Soap & Glory long distance shimmer. 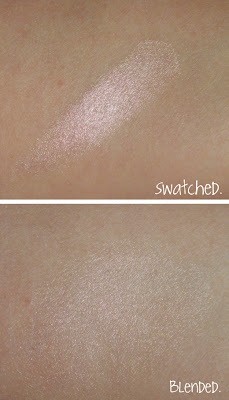 It's a multi purpose product for cheeks, eyes and lips and is a creamy highlightery type of thing! As you can see it has a pretty pink/gold sheen to it. It's really soft and smooth and blends really easily without any chunky glitter or such. 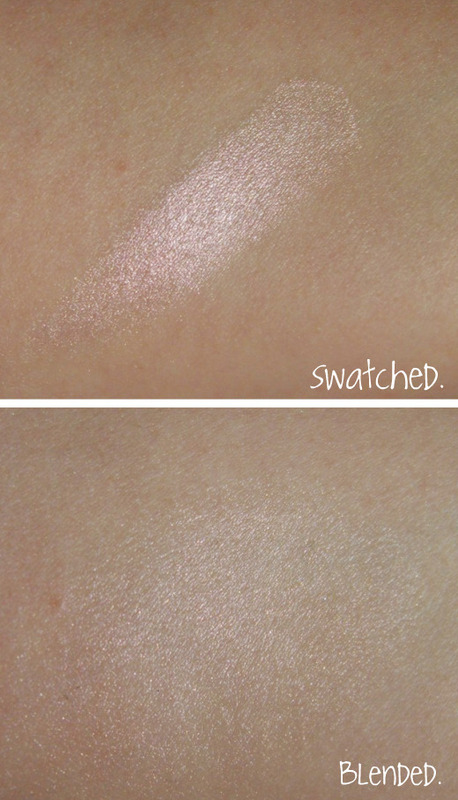 For me it is a great highlighter, it's subtle but buildable and is such a pretty colour. See? .. It sets well on my cheeks and gives me a gorgeous glow all day long. I like it on the lips too, but on my oily eyelids it creases, It's great for the browbone though! I got this is a Soap & Glory set which I received as a gift from my mum, and I am not very sure if it can be bought alone or always comes in a set.. Sorry to be so unhelpful!